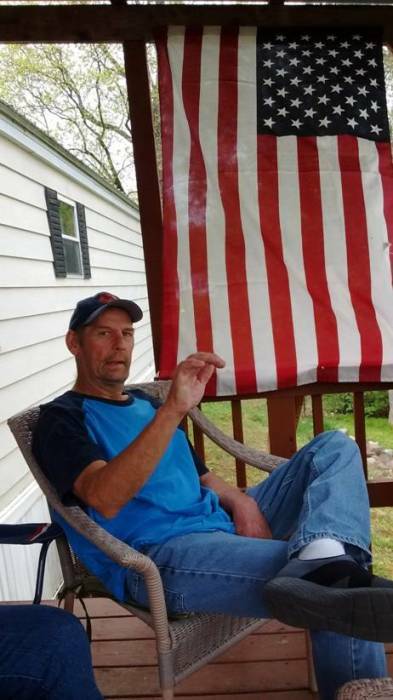 Larry J. Jamerson, 55, of Fulton passed away at home on January 31, 2019 surrounded by his family. He was born on December 31, 1963 in Oswego, NY to Harry E. Jamerson and Marjorie J. (Wyman) Jamerson. During his life, the things he enjoyed most were his daughter, being outside, spending time with his family having BBQ’s, fishing, swimming, football, western shows and game shows. He will be missed by his family, especially his brothers who he had a very deep bond with. He was predeceased by both his mother and father. He is survived by his loving companion, Nancy Bartlett; his daughter Jessica (Jamerson) Winstead; brothers, John (Kathy) Jamerson, Richard Jamerson, Joseph (Kelley) Jamerson, Theodore Jamerson, Daniel (Jennifer) Jamerson; and sisters Theresa (Patrick) Key, Sue (Joseph) Bakos, Cindy (Michael) Millet, Ellen (William) Johnson and many nieces and nephews. Calling hours will be on Sunday, February 10th, 2019 from 1:00 pm – 3:00 pm with a memorial service immediately following at the Palermo United Methodist Church, 11 Co. Rt. 35, Fulton, NY 13069.